Closing Reception: Friday December 7th 5:00 – 6:00. The Lang Practicing Curating class curated the show – Dissociation: Land, Water, Flesh which will be on view from November 30th until December 14th. Stop by and check out the work of the BFA seniors that are included in the show! 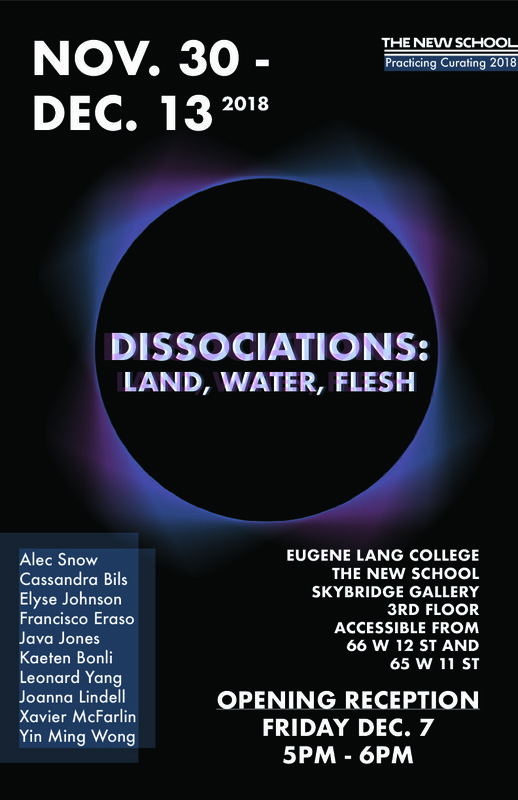 There will also be a closing reception (with refreshments!) on Friday December 7th from 5:00 – 6:00.